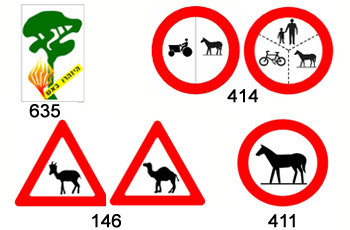 Which sign warns of the presence of wild animals ahead? What is the first thing you need to do after entering the vehicle and before starting to drive? Make sure the hand-brake is applied and adjust the driver’s seat. Start the engine and adjust the seat for safe driving. Adjust the seat besides the driver to allow the passenger coming-in from the right an easy entrance. Make sure you have an extra set of keys (reserve set) for the vehicle. He is prohibited to use the bus lane as well as to exceed the speed limit. He is permitted to exceed the speed limit. He is permitted to exceed the speed limit while driving in a bus lane only. He is permitted to use the bus lane, but is prohibited from exceeing the speed limit. Which vehicles can you drive with class B ? Private vehicles and commercial vehicles with an all up weight of up to 4,500 kg. Private vehicles and commercial vehicles with an all up weight of up to 3,500 kg. Motorcycles with an engine power of up to 14.6 horse-powers. What does the Carrier Service Law determine? Freight transportation arrangements to and from the port. The law determines the all up weight of transportation vehicles. The law determines maximum tariffs for ground transportation. The law states that transport services by a commercial vehicle with an all up weight exceeding 10,000 kg shall not be provided without a "carrier license". In an automatic gearbox, what is a driver required to do before shifting from the P gear to any other gear? Step firmly on the accelerator. Step firmly on the clutch pedal. Step on the brake and the clutch pedals simultaneously. And then shift to the required gear. 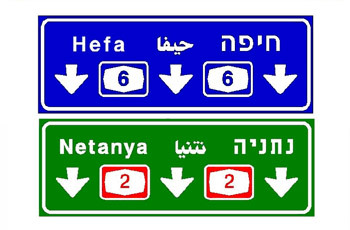 What road sign permits entry to pedetrians? 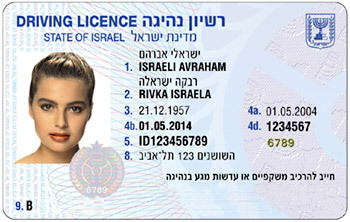 Allows a police officer to disqualify a driver’s license following any traffic offense that is committed by the driver. Can only be exercised by a court of law. 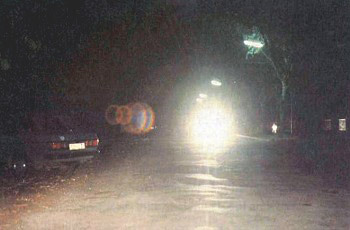 Slow down, adjust his speed to the visibility conditions and turn-on his dipped beam. 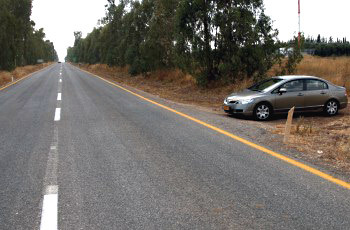 On a two-way road – slow down; and on a one-way road – continue driving normally. Accelerate and turn-on the rear lights, to prevent collision with the vehicle driving behind. Turn-on the high beam to extend the field of vision and warn the incoming traffic from your opposite direction. Is it obligatory for vehicles to have a properly functioning speedometer? No. It is not obligatory to have it functioning properly. It is enough if you drive according to speed limit. Not always, only when a Techograph is installed in the vehicle. No, it depends on the driver’s own discretion. Under which conditions is a vehicle allowed to deviate from its line of driving? Provided that no risk or disturbance is caused to any passerby. It is allowed to deviate only in a roadway which is free of traffic. In slow speed and by deviating sharply. It is absolutely prohibited to deviate from the driving lane. Is a policeman permitted to stop a vehicle which is not lawfully loaded or marked? No, a policeman is not permitted to prohibit the vehicle from driving. Yes, but only on an urban road. No, a traffic policeman may only reprimand the vehicle owner, warn him and write him a ticket. Yes, a policeman may prohibit the vehicle from driving until the freight is lawfully arranged. 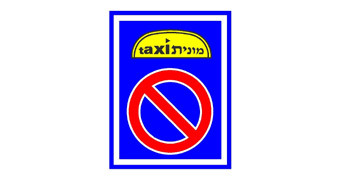 Cab rank; no stopping and parking of other vehicles, except for unloading passengers. Pick-up stop; no stopping and parking of other vehicles. No stopping and parking for any vehicle within a distance of 20 meters. Route service station for special cabs and busses. 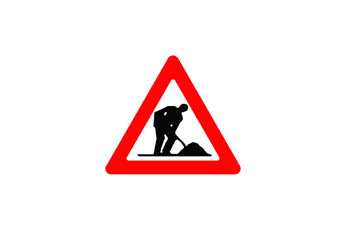 Can a temporary sign, which is posted under the direction of a police officer, be regarded as a legitimate traffic sign? According to the picture, how are you required to conduct yourself when driving on the roadway? Ignore the vehicle coming out of the dirt road and take right of way. Pay attention to the vehicle coming out of the dirt road. Give right of way to the vehicle coming out of the dirt road. Continue driving without doing anything special. You are allowed to overtake in a one way road. Do not overtake and do not try to overtake any other vehicle before the crossing. 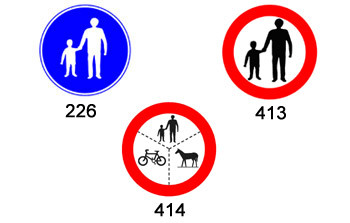 You are allowed to overtake if there are no pedestrians on the crossing. You are allowed to overtake before the pedestrian crossing in an urban road only. What is the meaning of the signs? 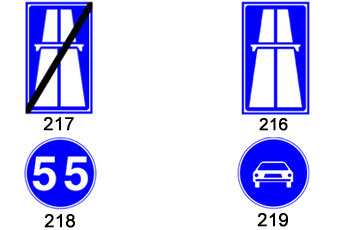 Directional, above the lanes before an interchange on an Inter –urban road or a Motorway (Freeway). 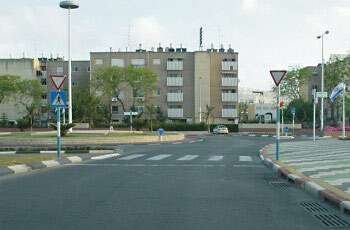 Directional, to a central area or town. 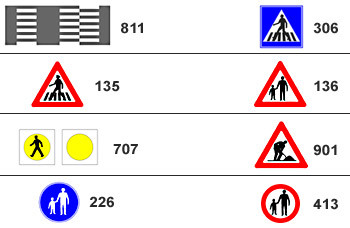 Directional, to lanes before a junction, and positioned on the left. Directional to lanes before a junction and placed on the right. You must use another person to guide you. You must use another person to guide you on highways..
You must use another person to guide you during "lighting up time". You are permitted to use another person to guide you. 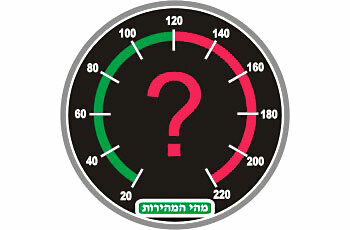 What is the relation between the vehicles speed and the vehicle’s stopping distance? 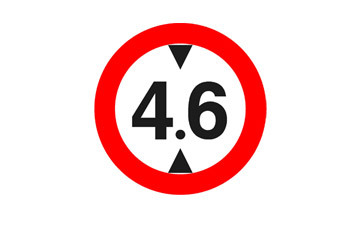 The higher the vehicle’s speed is, the shorter is its stopping distance. There is no relation between them. 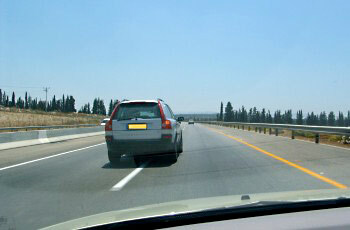 The stopping distance is constant and does not depend on the vehicle’s speed. The slower the vehicle’s speed is, the longer is the braking distance. The higher the vehicle’s speed is, the longer is its stopping distance. Path for cyclists and pedestrians only. 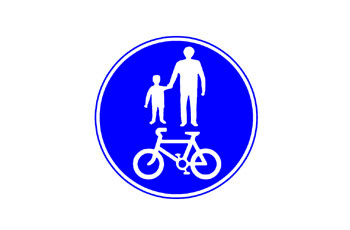 Crossing for cyclists and pedestrians. What is the statutory length limit of the vehicle in the picture? Which vehicle should be equipped with a fire extinguisher? All vehicles, except for private vehicles, tractors, motorcycles and tri-motorcycles. Every vehicle with an overall weight of up to 3,500 kg. How is a pedestrian crossing marked? Vehicle height restriction. 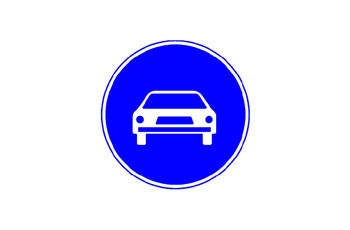 No entry for a vehicle that exceeds, with its cargo, the height that is indicated in the sign.